The Supreme Court of Indian refused the petition of Congress for the stay on the oath ceremony of BJP leader BS Yeddyurappa as a Karnataka chief minister. The judgement comes after a rare early morning hearing by SC. Therefore, Bharatiya Janata Party's B.S. Yeddyurappa is finally going to take place at Raj Bhavan on Thursday at 9.00 a.m. However, the bench of Justices A K Sikri, S A Bobde and Ashok Bhushan after hearing the petition by Karnataka Pradesh Cong Committee chief G Parameshwara and Janata Dal (Secular) president H D Kumaraswamy, said that the court wanted to see the letters dated 15 May and 16 May, which was given by the Governor Vajubhai Rudabhai Vala to Yeddyurappa and also claiming that they can form the government. Moreover, the court will hear the matter again on 18th May at 10:30 am. The Supreme Court of India also said that they can not challenge the decision of the state Governor as it is morally and constitutionally wrong. The hearing in the apex court began at around 2:10 am in court no 6 with the Abhishek Manu Sighvi representing the petitioners and Attorney General K K Venugopal appearing for the respondent-Union of India and senior advocate Mukul Rohatgi appearing for two BJP MLAs. However, the other party members, State of Karnataka and Yeddyurappa were not represented in the matter. 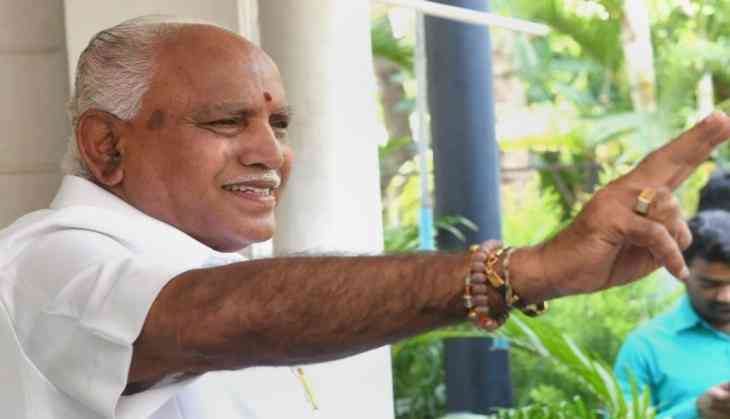 The decision comes just before the swearing-in ceremony in Bengaluru, where 75-year-old BJP candidate Yeddyurappa going to become a CM of Karnataka for the second time. The order was come after when Congress-JD(S) filed the petition and also claimed that they had gained the majority with the support of 117 against BJP’s 104. They also wanted the stay on the oath ceremony till 4:30 pm on 17th May 2018. The Senior advocate Singhvi argued in the court that Governor must have invited the post-poll coalition to form a government in the state as no party had secured the majority. He also questioned on the 15 days time which is given to BJP leader for proving majority. He added ‘to give such time is to encourage the constitutional sin of poaching…”. After hearing him, the court has announced its judgement in the favour of BJP and refused to keep the stay on swearing-in ceremony of BJP leader. Meanwhile, this will be the third time when Yeddyurappa will take oath as the Chief Minister of Karnataka.